If you enjoy reading aloud to your children, you'll love this little gem. At the end of the story ask them to fill in the blank, "love you more than..."
A family of chipmunks celebrates the love they share as they do life together. 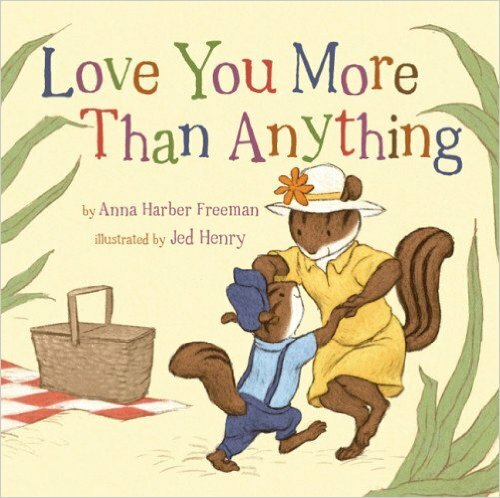 Anna Harber Freeman's delightful rhyming book is perfect to read to your little ones. As the family scampers to the park they repeat the phrase "Love you more than..." and fill in the blank with everything from ladybugs to chocolate cake. Jed Henry's charming illustrations reflect the joy and fun-filled day the family shares.